Thanks to your suggestions, we’ve made improvements to the offline creator tool, updating it to version 2.0 for the Mac program. 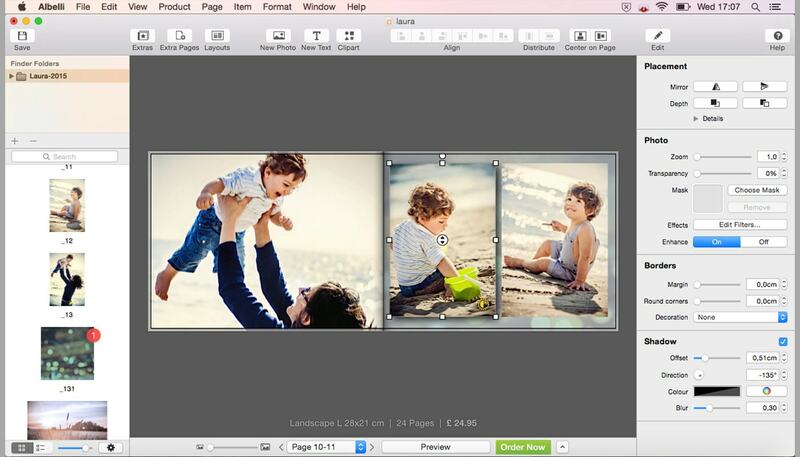 Here’s what’s new with our photo books for Mac! If you’re a Windows user, you can find your updates here. 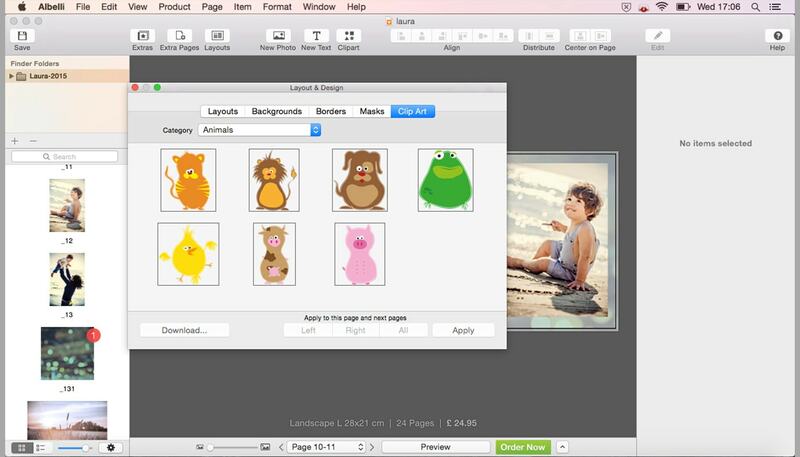 Along with frames, backgrounds and photo masks, you now have a wide variety of clip art to add to your photo book. To find this option just click the ‘Assets’ button in your tool bar. Remember, as this is a new feature, you’ll need to add your clip art to your Layout & Design library by clicking ‘download’. Want to see what’s in store? Now you can apply the shadow without reducing the size of your photo. In the previous version, shadow appeared within the green frame and this made photos decrease in size. Now that the shadow appears outside the green frame, the size of your photo will remain unaltered. When you start your creator tool, you’ll be requested to update to version 2.0. Once you’ve done this, you’ll get to benefit from these improvements!